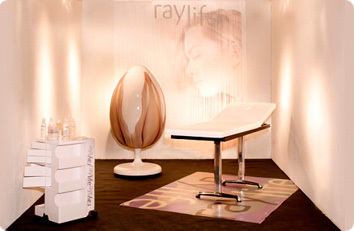 Raylife Raylife is a complete method, a vision of the aesthetic of tomorrow and of the future. Glowing Beauty is the promise of Raylife. It is precisely that inner and outer glow, a ray of life that frees the beauty of your body, endowing it with renewed energy. Cushioned in the embrace of Raylife, the aesthetic improvements trigger positive effects on both body and mind. From the uniqueness of the treatments to the reliability of the technology, from the comfort of the environment to the complementarity of products and services: every customer becomes the star of these universes. 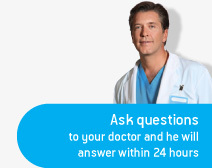 Raylife identifies the various treatments depending on the body area (face, stomach, buttocks, legs), thus enabling intervention on one area or on various specific areas with different treatment combinations. Facial and body beauty treatments can today benefit from combined energy, light and wave action: different applications for action at the same time which guarantees better results and the resolution of any aesthetic problem. The raylife treatment platform embodies the latest technological innovations in the field of non surgical face & body office therapies. Its results are the removal of localized fat deposits and the smoothing out of surface irregularities such as cellulites.